The entertainment and shock value you provide us with the stock market might meet its match over the next few weeks. Are you ready for some surprises and wild finishes? That’s what March Madness brings each and every year! It’s also an opportunity to take a high level view of the current investment environment with what lies ahead. Six years ago we became the first Registered Investment Advisor to use the NCAA basketball tournament as a way to show our readers a forward-looking view on the stock market. We break down and assign each of the four “regions” with an asset class and then pick teams (companies) that we think have the best chance at doing well relative to others. This year we will dive right into our investing bracket looks and how we think the remainder of 2016 will play out. Click here to see the entire bracket. To set the table let’s take a quick moment to recall last year and the undefeated Kentucky team. They came into the Final Four 38-0 and were a virtual lock to win it all but as you may remember the Wisconsin Badgers shocked everyone and provided the surprise millions of fans tune in for every year! This type of “upset” is exactly how we think 2016 will pan out in the Large Cap asset class. Five years from now people will look back at 2015 as a year that the stock market extended its bull market run for one more year. Investors will exhibit a short-term memory lapse and forget that it actually was a very rough year with heightened volatility, the first correction, and a market that actually turned in negative numbers if you looked “under the hood”. The problem is…most people will not remember this and only look to see the S&P 500 finished positive +1.38%. 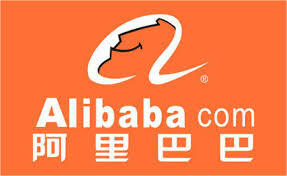 Alibaba – The next hot stock? Every investor is looking for the next opportunity that looks like a ‘sure thing’. Throughout 2014 we’ve seen a plethora of IPO’s hit the market with the majority of them being well received. Currently there is a giant lurking out there and the markets have been licking their chops waiting to get a piece of it. The stock is a behemoth based in China…Alibaba (anticipated to be listed as BABA). Wall Street is expecting the IPO to hit the market sometime after the Labor Day holiday and this could certainly be an early Christmas present for the markets if it lives up to the anticipation. We have not seen hype like this surrounding a potential IPO since the dot-com era of the late 1990’s. Before you rush out in an attempt to participate in the IPO or buy through the open market, lets take a look at Alibaba to see if it warrants a position in your portfolio….